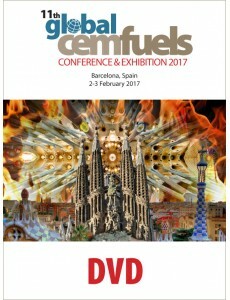 The Global CemFuels Conference 2017 DVD presents video, presentations and proceedings from the 11th Global CemFuels Conference and Exhibition that took place on 2 - 3 February 2017 in Barcelona, Spain. Paper 10: Our experience in using alternative fuels over the last few years: Juan José Riesgo: FLSmidth S.A.
Paper 16: The influence of using alternative fuels on clinker and cement quality: Carmen Gheorghe: Geocycle (Romania) S.R.L. The Global CemFuels Conference and Exhibition has established itself as the largest specialised annual alternative fuels conference in the world, attracting 150 - 200 international delegates and many exhibitors each year.